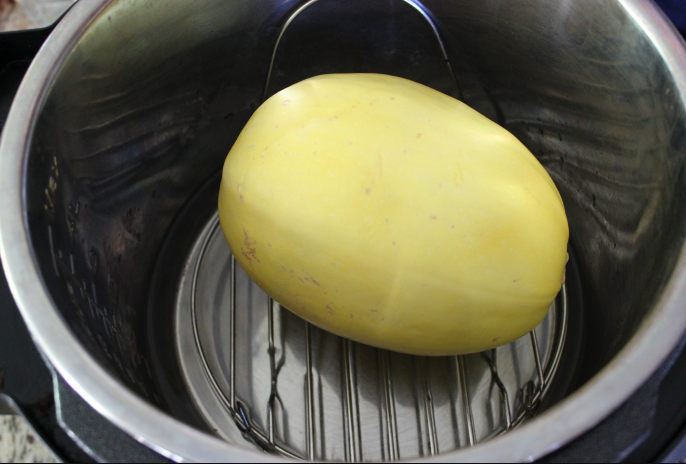 I love this Easy Pressure Cooker Spaghetti Squash recipe for nights that we need some healthy “noodles” in our life! I never really liked squash. 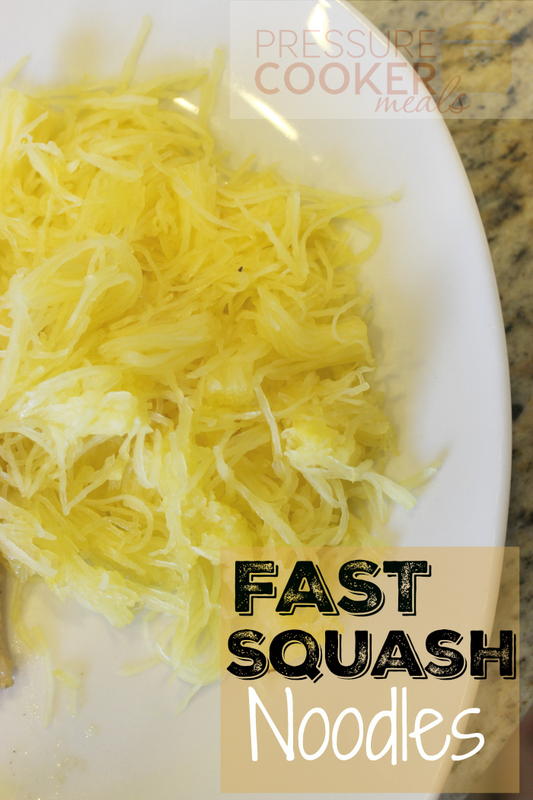 Then, my chef husband introduced me to spaghetti squash noodles…he threw on his amazing meatballs and I was hooked! We were even able to trick our picky 5-year-old that they were noodles and he asked for seconds. 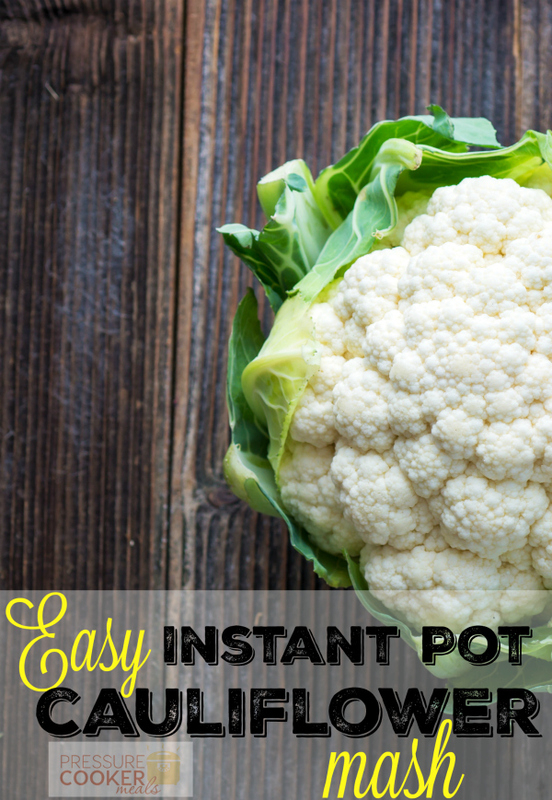 You will want to grab the rack that was sent to you with the Instant Pot. Add two cups of water to the bottom of the pot and poke at least 6 holes with a fork in your squash. 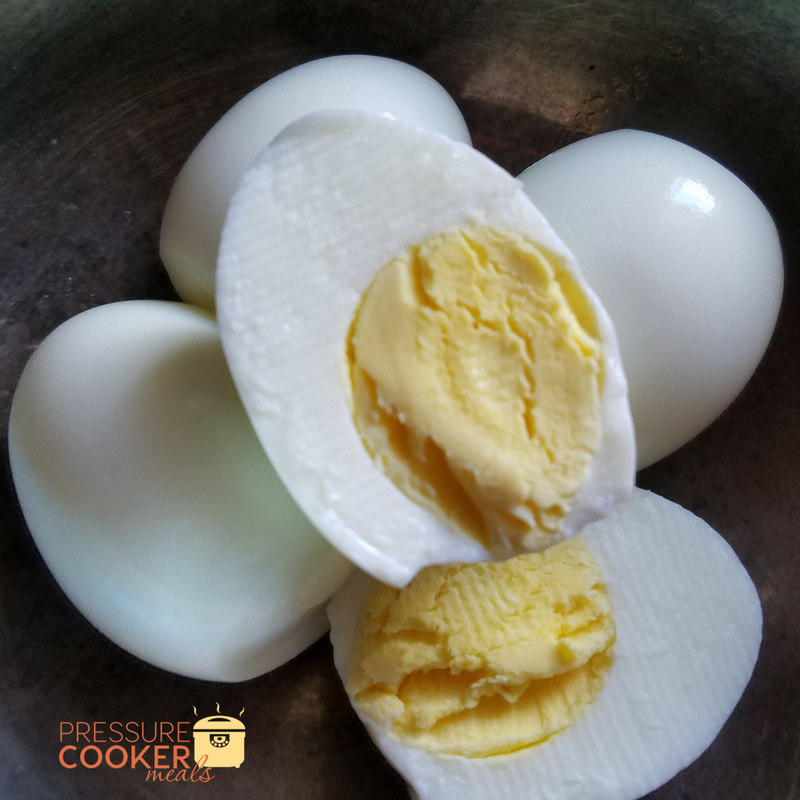 Set your pressure cooker to 16 minutes on high pressure and quick release. 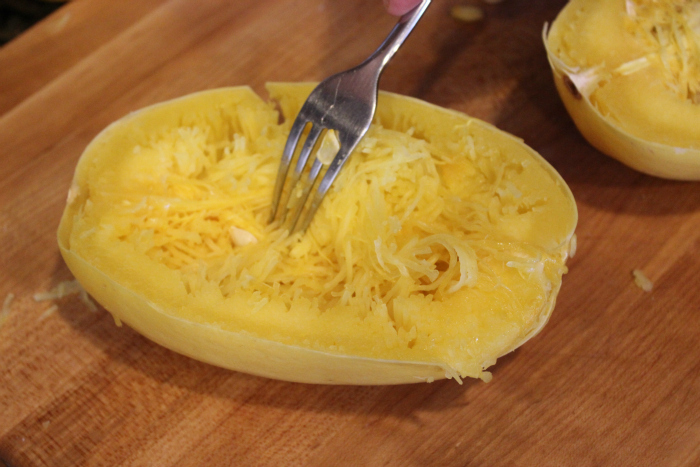 Cut open the squash and take out the seeds, then use a fork to scrape out the inside of the squash. Scrape everything out until you reach the skin. 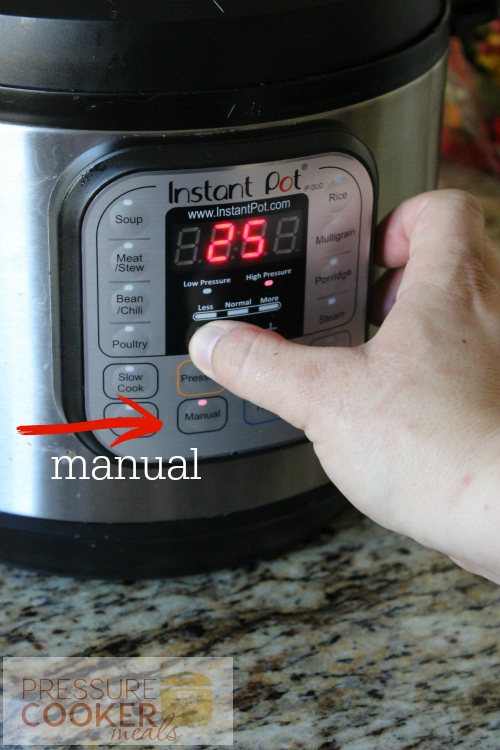 It should be very easy to scrape everything out, if not, pop it back into the pressure cooker and add a couple minutes. 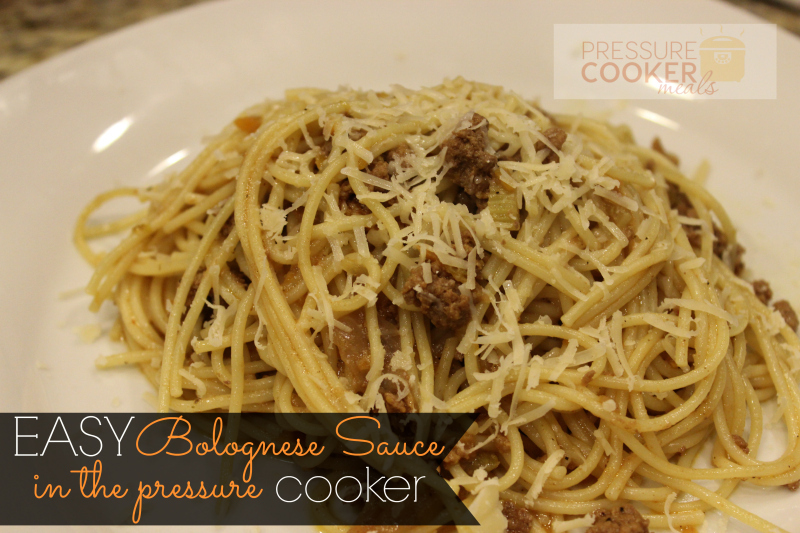 Enjoy with meatballs, Easy Bolognese Sauce or just by itself!